2 years ago I had an ambitious idea. Weave enough fabric to make a travel bag set for myself. These bags will be for weekend trips, I certainly wouldn’t allow any baggage handler near these beauties. But before physically starting the project I had to sit down and design on paper (following up on the computer) and do all the math calculations for how much I would need for the warp and weft. 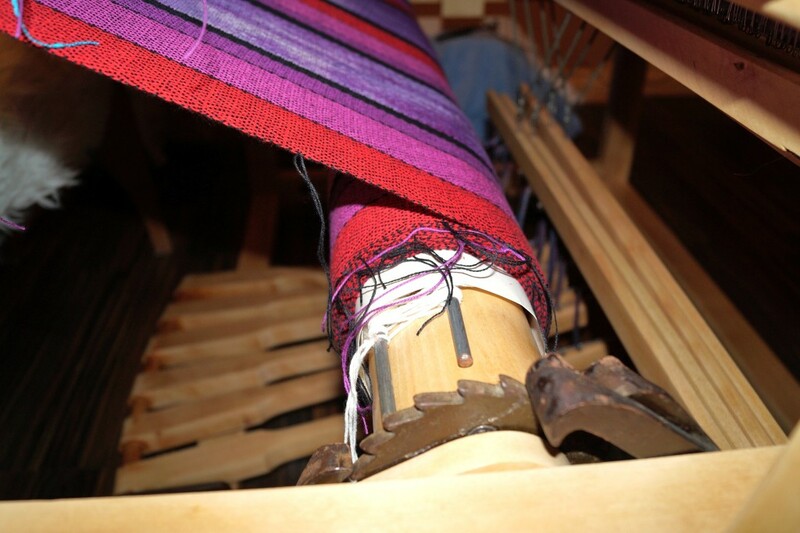 For those not familiar with weaving, the warp is the “vertical” threads that are placed on the loom from front to back and the “weft” is what you place side to side. 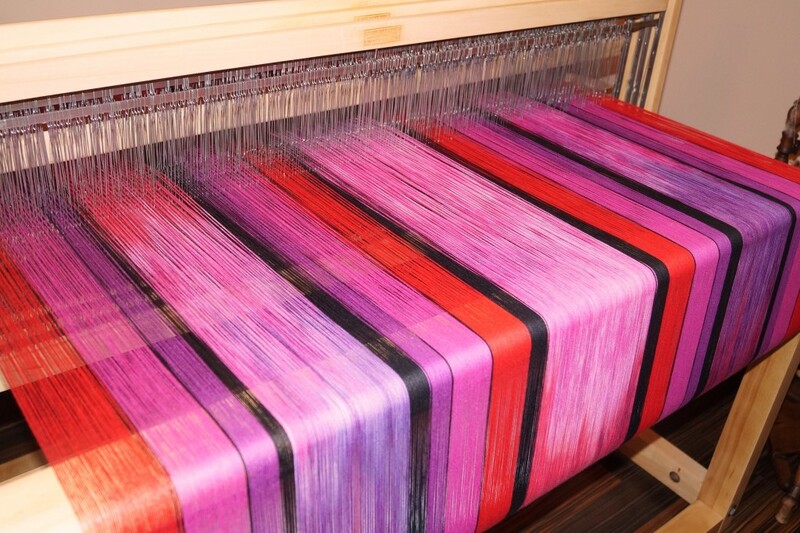 Typically you use more materials (yarns) for the warp than the weft. Anyway, back to calculations, which is made easier by Microsoft Excel. Spreadsheets can take the screw-ups out of calculations (as long as you don’t have errors in your formulas!) and make life a lot easier. So I took my blank “Project File” where I have all my formulas entered and made a copy so I could work on the new travel bag project. Pretty exciting looking isn’t it? This is only one page of the spreadsheet, there are 2 others but I won’t make your eyes glaze over by detailing them. 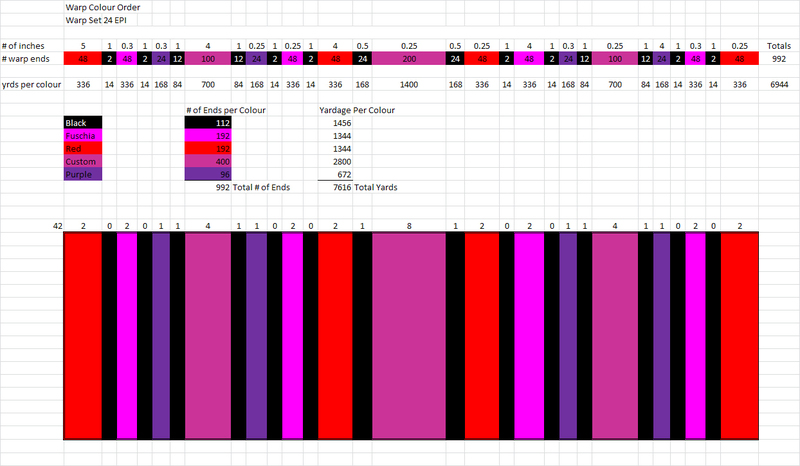 After all the calculations were done, I needed to wind the lengths needed for the warp as well the ones to be dyed. I was using commercially dyed cotton yarn for the bulk of the warp, but 3 light purple-y shades (centre wide stripe and the same shade on either side) were going to be space dyed. 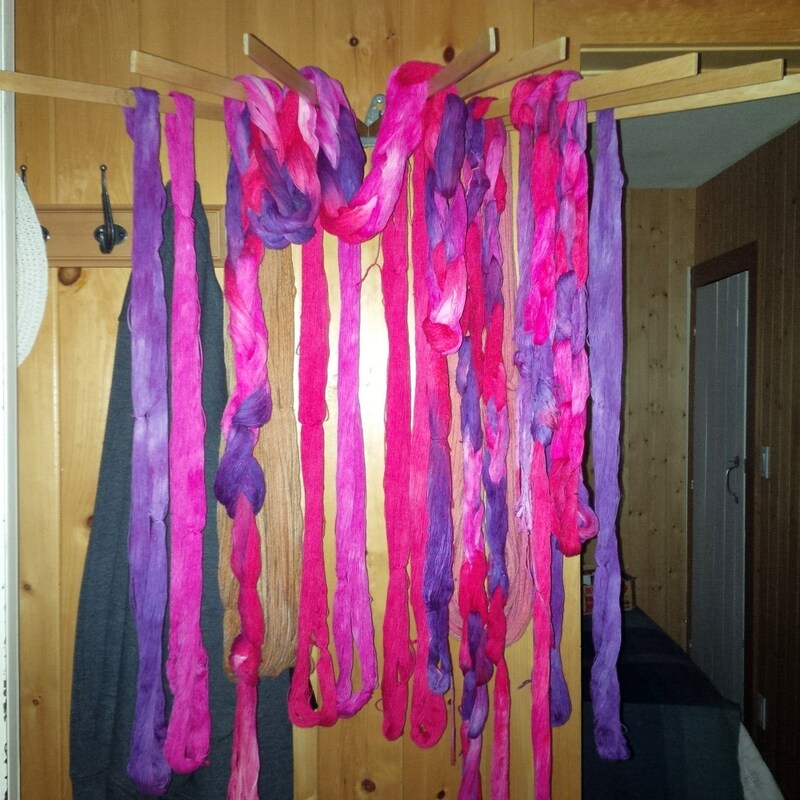 Dyeing yarns are a fun way of exploring and playing with colour. 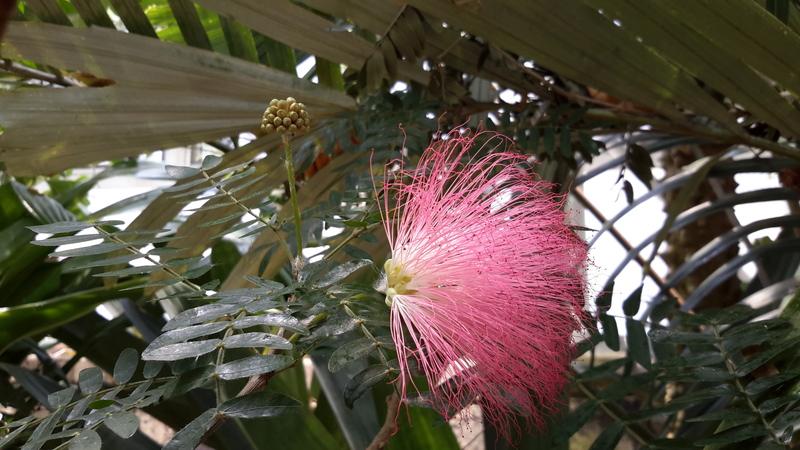 There are 2 different dye types though as one is suitable for plant based fibres (cotton, linen, etc.) and the other type is for protein fibres (wool, silk, alpaca, etc.) I had picked up some packages of Dylon fabric dyes at JoAnn Fabrics in the U.S. (1/3rd the price than here in Canada) and arranged a dye day with my northern homestead neighbor Kathy. We set up a couple long tables outside at her place, lined them with heavy plastic and got to work “painting” our yarns. I neglected to get a photo at this stage, probably because I was wearing rubber gloves as well as up to my elbows in colourful dyes. 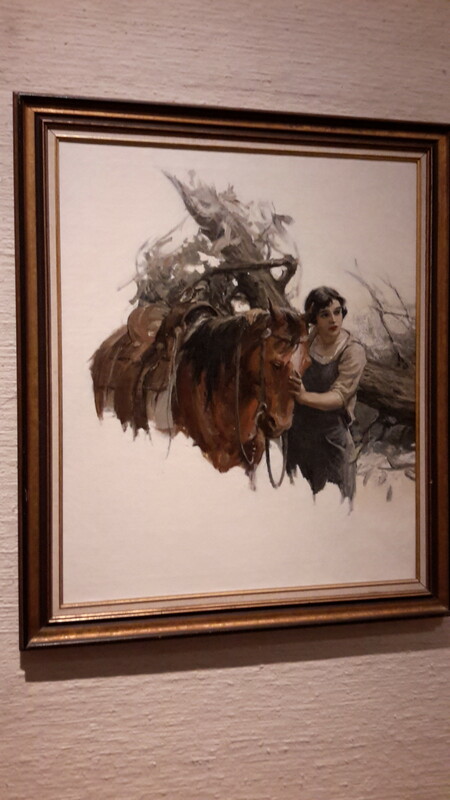 But I did get a pic of them hanging to dry inside the homestead on my vintage wall drying rack. BTW, this rack is perfect for drying yarns, make sure they have dripped off outside though otherwise you make a mess of your flooring. 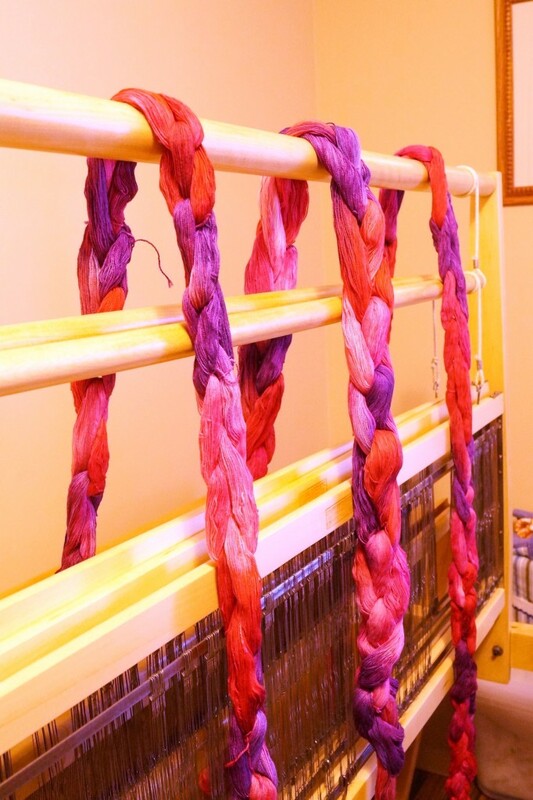 Once the yarns were done and dried, it was time to get them ready to go on the loom. After I wound the commercial coloured yarns, about 4 hours of threading commenced. Warping a loom is very, very time consuming. 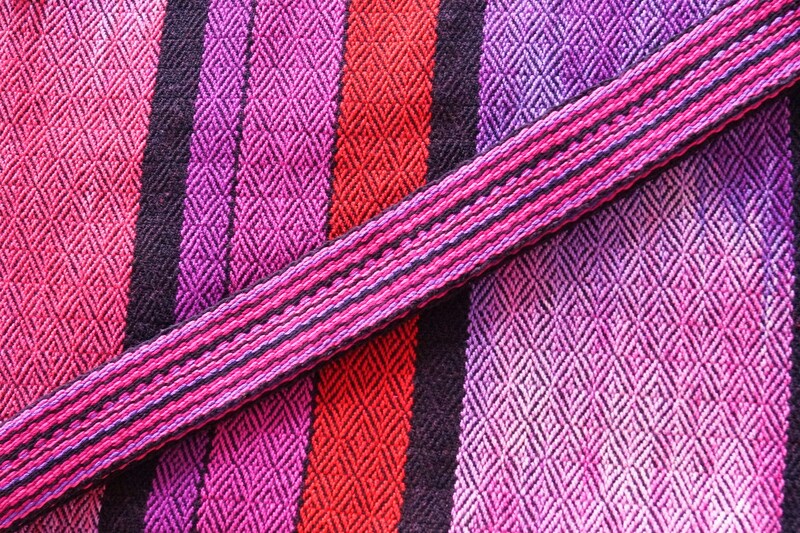 From start to finish, from winding the warp to getting the loom threaded and tied onto the loom is about 8 hours, depending how wide your project is. 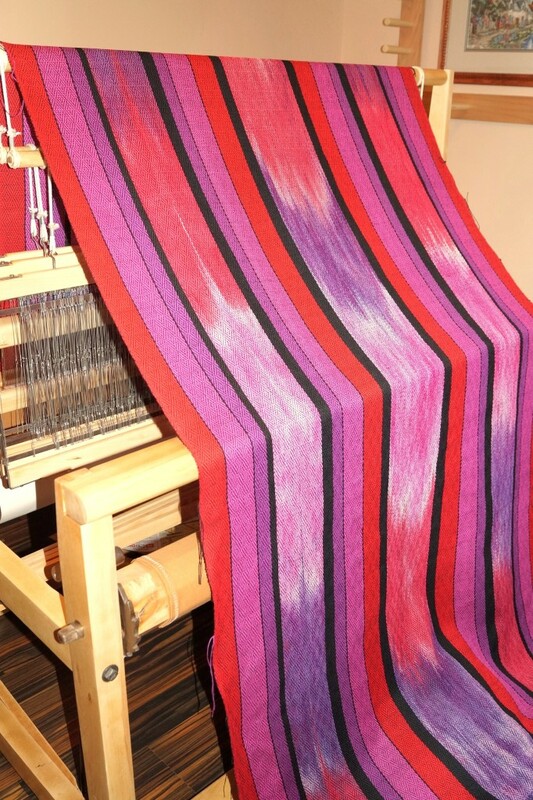 This one is the full width of my loom (45″) so was at the top end of time needed to get done. Once on the loom though, weaving goes fairly fast. I started with black for weft, then changed to purple to see how I liked the colour interaction. I didn’t. The twill pattern was getting lost against all colours of the warp. So back to using black. I wove just over 6 yards of material. Which took me about 6 weeks, mainly because of work and other life obligations. Here is the roll of fabric building up on the front beam. Ask any weaver and there is nothing as pretty as a fat roll of fabric to look at. 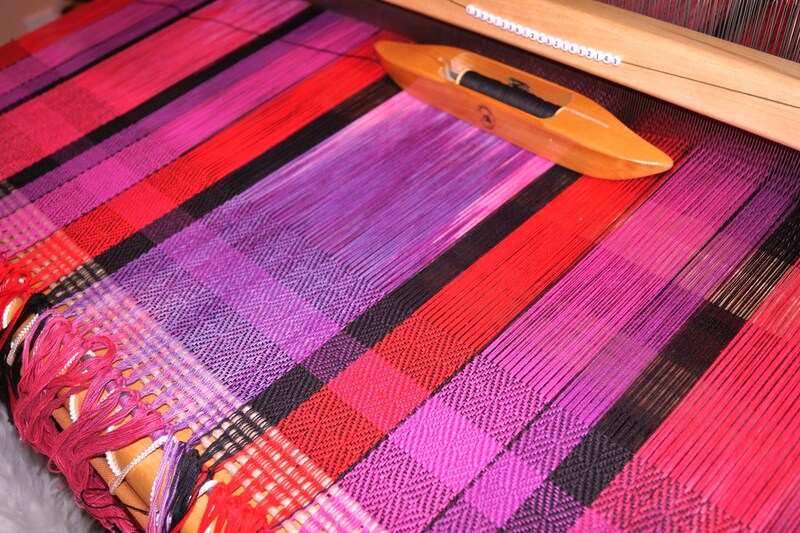 Here it is pulled off the loom, what a gorgeous sight! Once the fabric was done, it was washed, dried and put away until I could find some time to sew the travel bags, which actually took just over a year later to accomplish mainly due to life plus I wasn’t happy with any of the luggage bag patterns I had seen to date. I also needed to weave the straps that would be the handles on the luggage. I bristled at the thought of using commercial webbing for the straps. So I bought some matching colours of a thicker cotton yarn and warped my Inkle loom to make the straps. 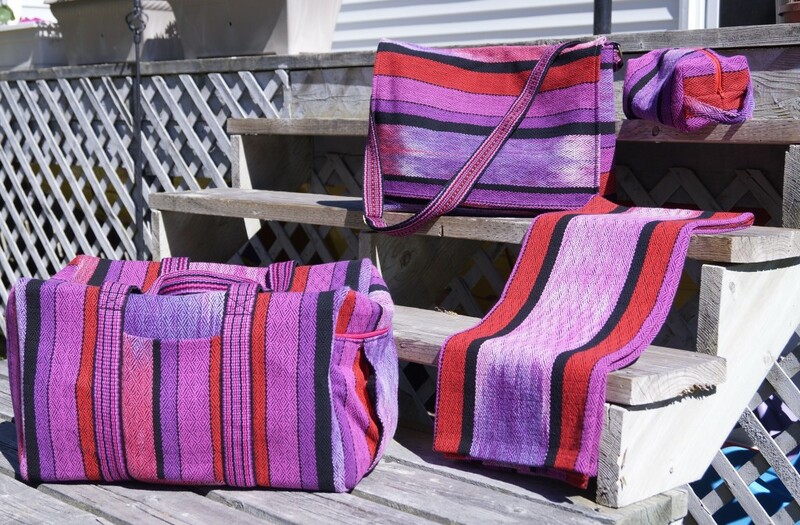 I wove 3 altogether, 2 for the main luggage bag and one for the laptop carrying messenger bag. Here is one of the straps against the fabric, a pretty darn good match! Fast forward to late May 2018 and I finally had gathered everything I needed for the bags; zippers, thread, D-rings for the handles, lining fabric and a really neat iron on padding material called In-R-Form (not sold in Canada, had to order from the U.S.) that makes fabric stiff, but padded as well. Great for laptops bags. I brought pretty much every piece of equipment and my notion organizers up to the homestead and got to work sewing. After 3 days (on/off), the main travel duffel bag was complete and literally, after I finished the very last seam, my machine broke down. It needed servicing so off it went to get fixed. A week later I was back in business. Meanwhile I finally found a great messenger bag pattern off Pinterest as well as a cute box bag style toiletry case and after another couple days…voila! All were finished! I had enough material left over for a generous “bath sheet” size towel. Being 100% cotton, it can be used as either a beach towel or a throw to cover up in. 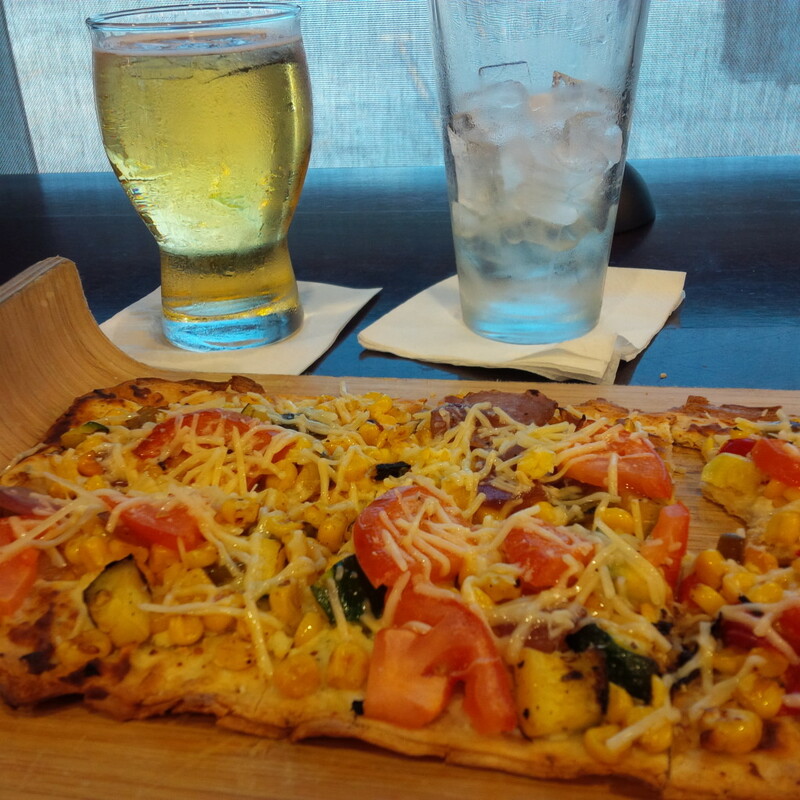 I was able to glean some information from an Internet pal Amy in Pittsburgh who has frequented OKC on numerous occasions and she gave us brilliant suggestions on places to visit as well as which restaurants to try. She did not disappoint! 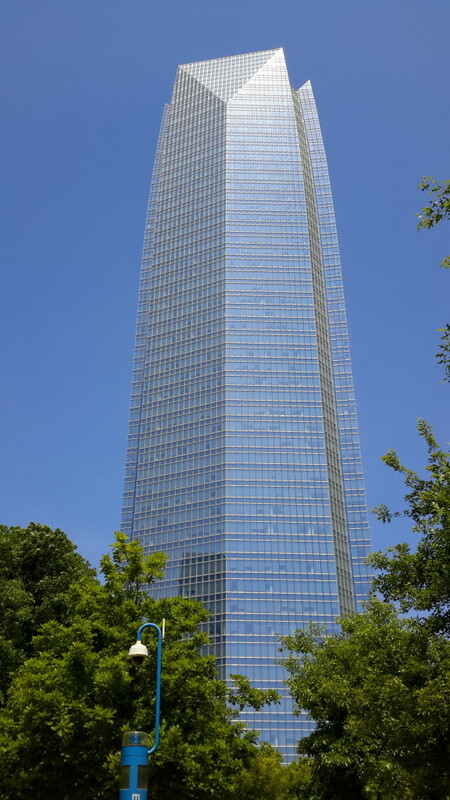 Our first stop was the Myriad Botanical Gardens located downtown, right across the street from the Devon skyscraper. 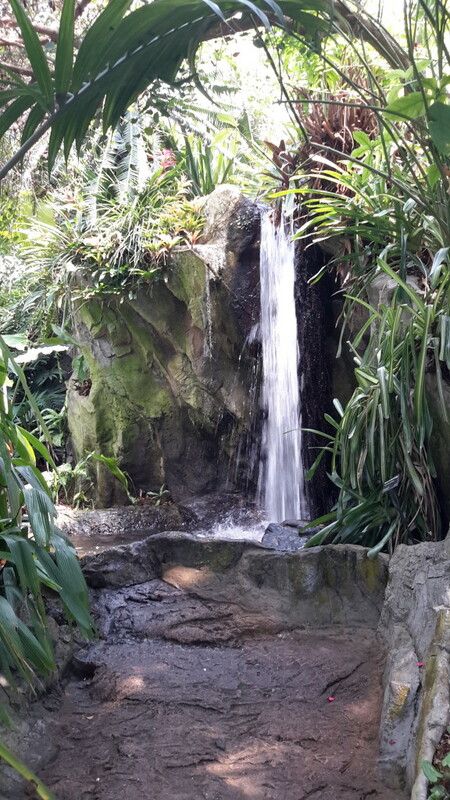 The 17 acre gardens are gorgeous and the crown jewel is the ‘Crystal Bridge’ which is a behemoth of a greenhouse filled with tropical plants from around the world. 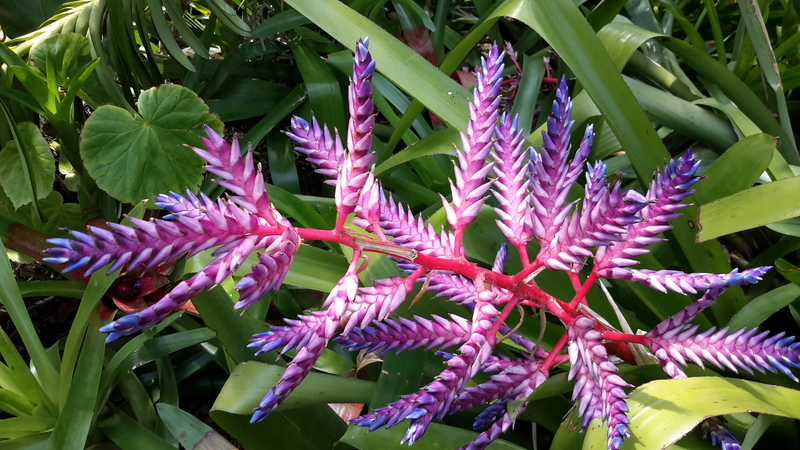 The flora on display is stunning, from teeny violets tucked into crevices to towering palm trees and everything in between. 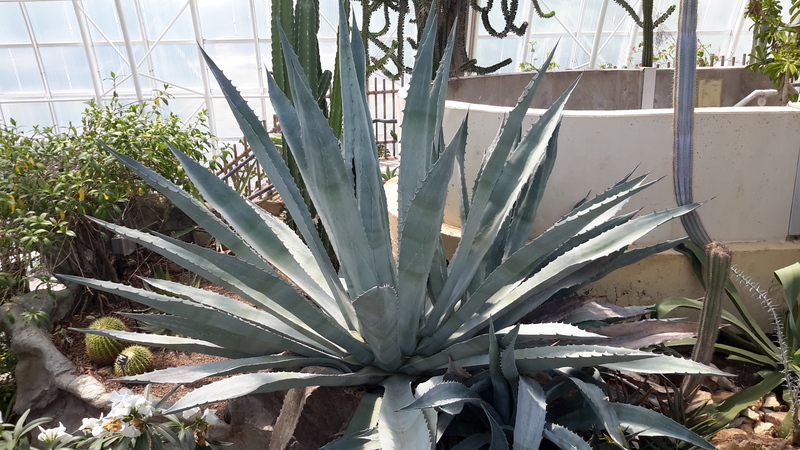 A gorgeous Blue Agave plant…Tequila anyone? 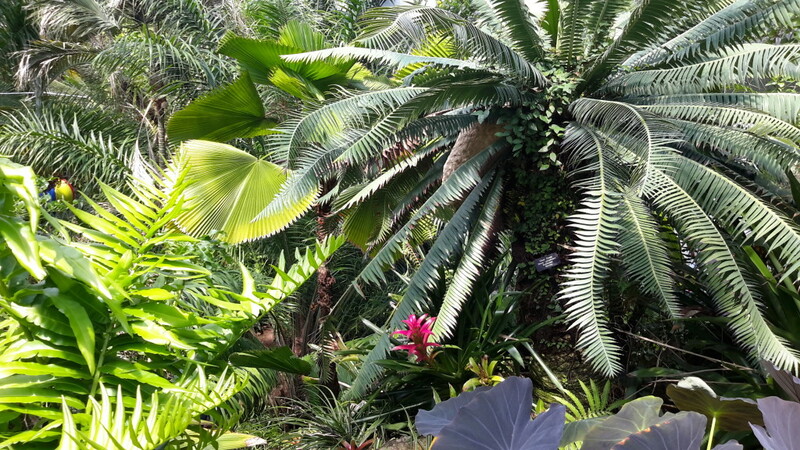 Anyone who loves botanical gardens, definitely put this stop on your to see list. You will not be disappointed. 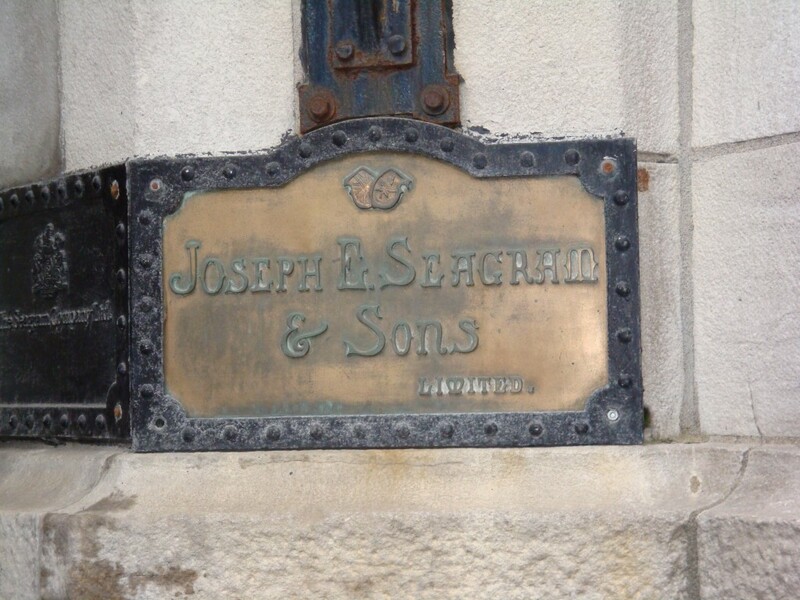 I could have posted more pictures, but then this post would turn into a novel. 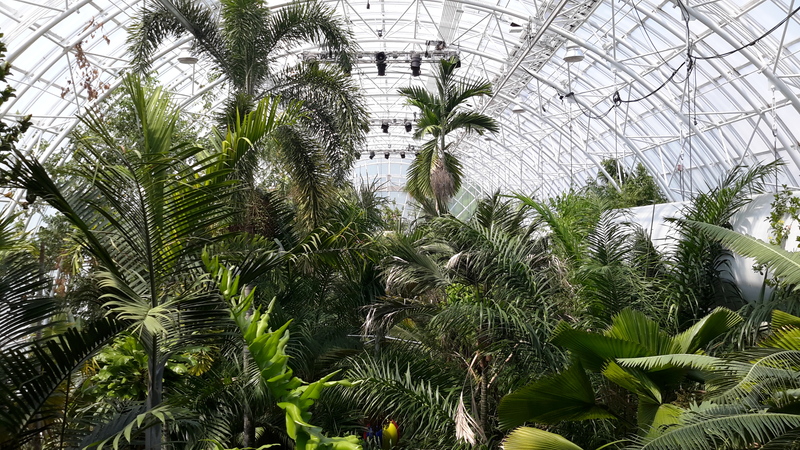 After spending a couple hours strolling the grounds and tropical building (and working up a great thirst! 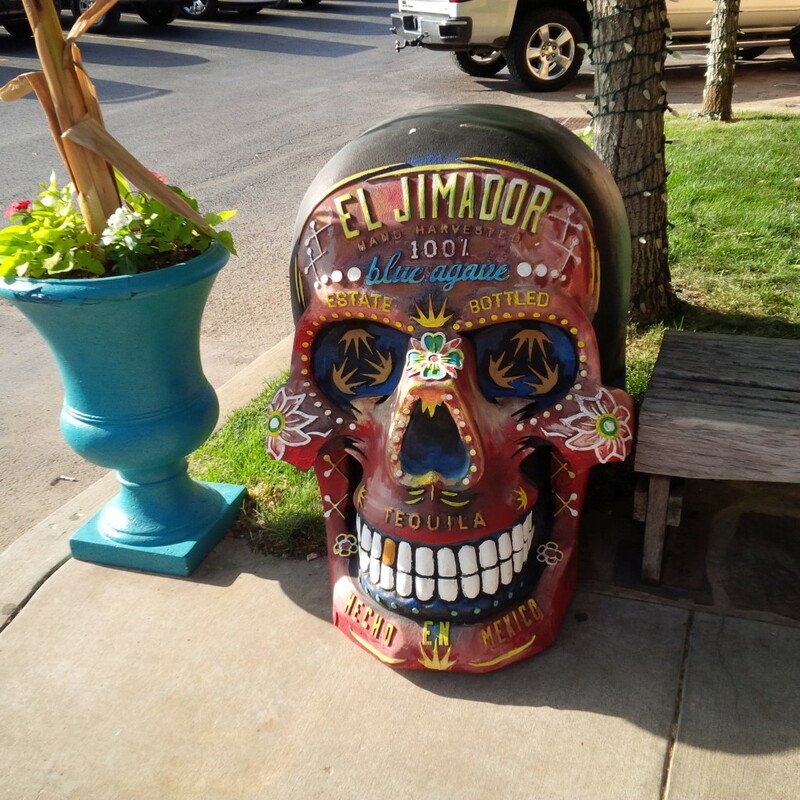 ), we went to a fabulous Mexican restaurant touted by Amy as the best Mexican food in Oklahoma City, the Iguana Mexican Grill. 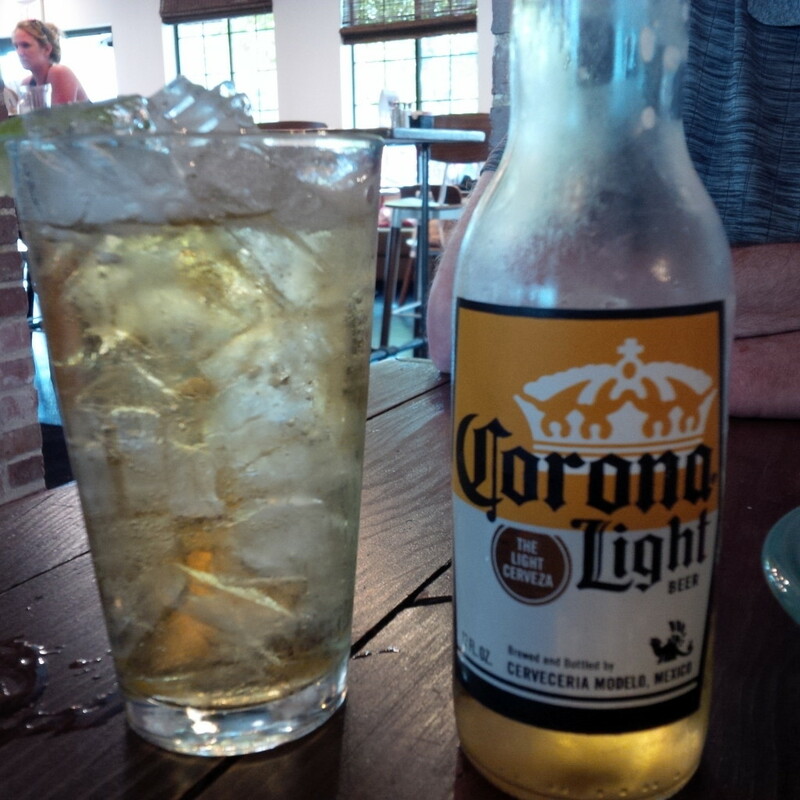 It is a tiny place, packed with friendly servers, cold beer and mouthwatering food! Hubs tried the fish tacos and I had the Yucatan Style Roasted Pork, which was achiote and orange roasted pork cooked in banana leaf and served with soft flour tortillas, cilantro and pickled onions. Devine! 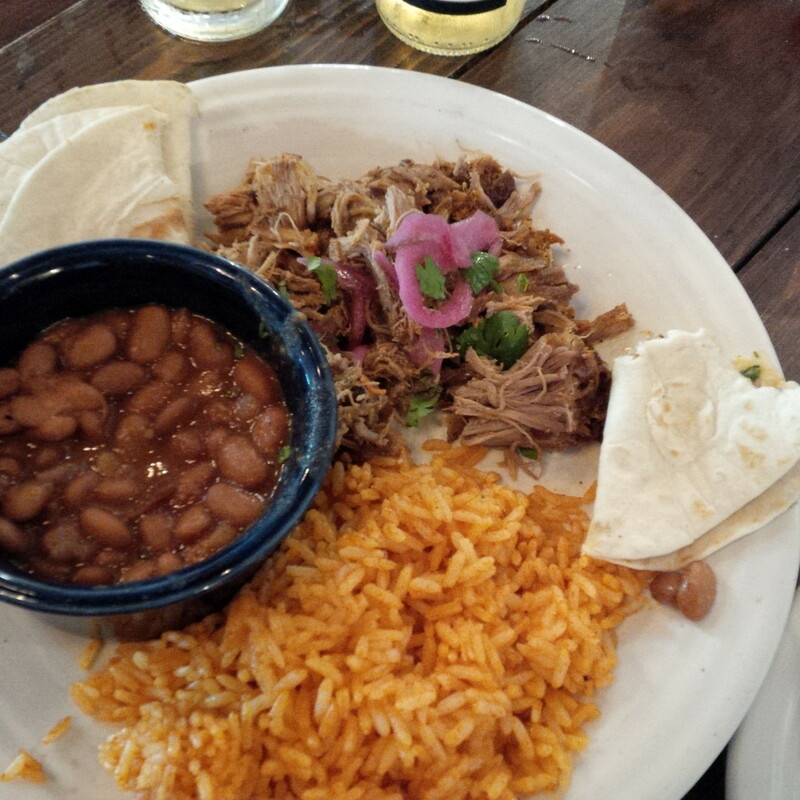 I chose the pinto beans and red chile rice to accompany the roast pork and was seriously stuffed at the end. I highly recommend this restaurant if you are ever in OKC and you love Mexican food just as much as I do. 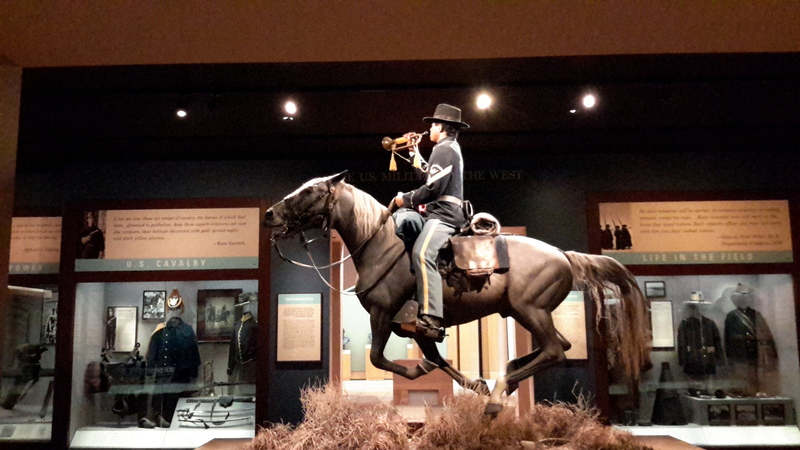 Our next tourist destination was the National Cowboy and Western Heritage Museum. I am sure some of you have seen their flagship carving called “The end of the Trail”, a stunning sculpture soaring some 25 feet (at least!) In the air. The scale of which is hard to depict in photographs. 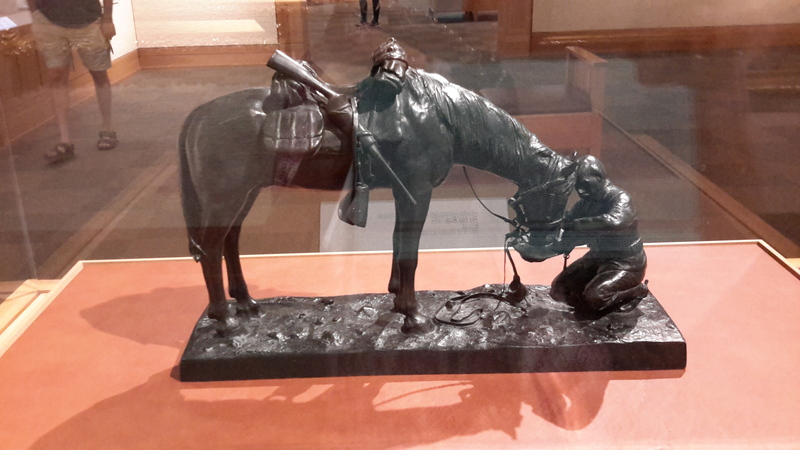 This sculpture signifies a native American and his horse, both weary in body and spirit at the end of their journey. 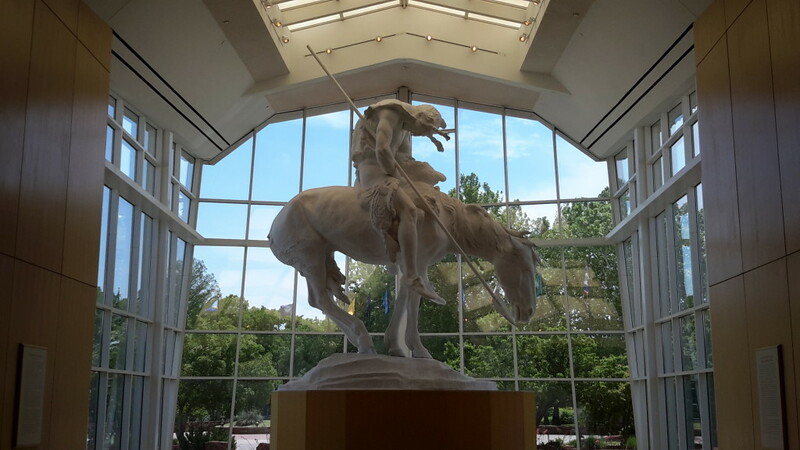 Sculpted my American artist James Earle Fraser, it is truly a treasured national sculpture. 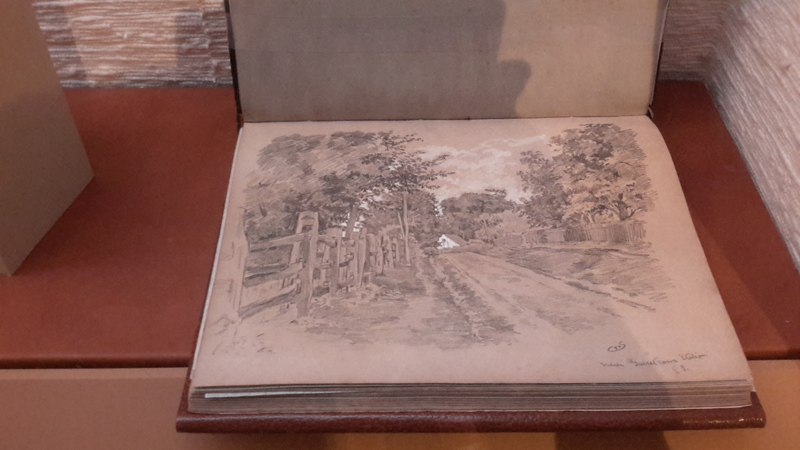 There were so many art galleries to meander through, featuring artists from America, Europe and Native North Americans depicting western life from the early 1800s to the present. All types of medium were used, whether they were cast sculptures, ink and pen on paper, oil on canvas, watercolours, tempura and many more. 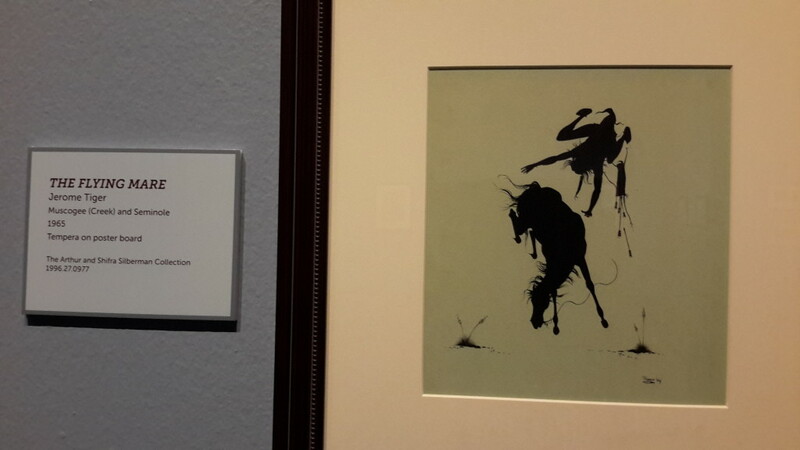 I loved this first one below titled “The Flying Mare”. If you love western history and art, make sure you mark this museum down on your bucket list. 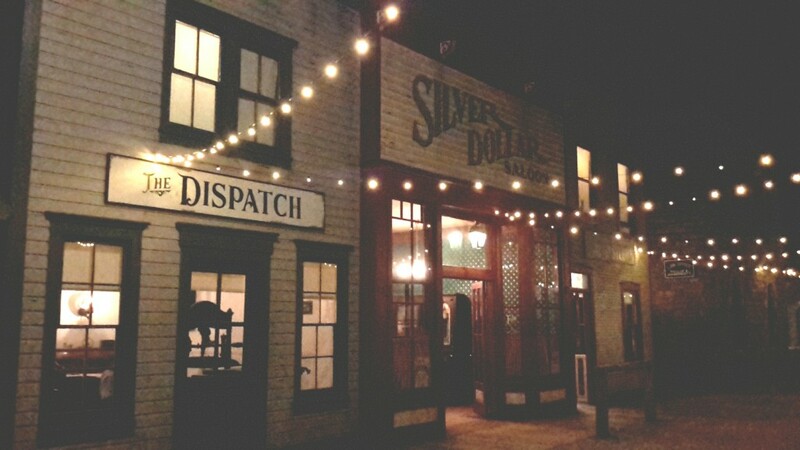 They also have a full sized scale of an early western frontier town complete with sheriff’s office and jail, bank, mercantile shop, saddlery, saloon and livery stables. 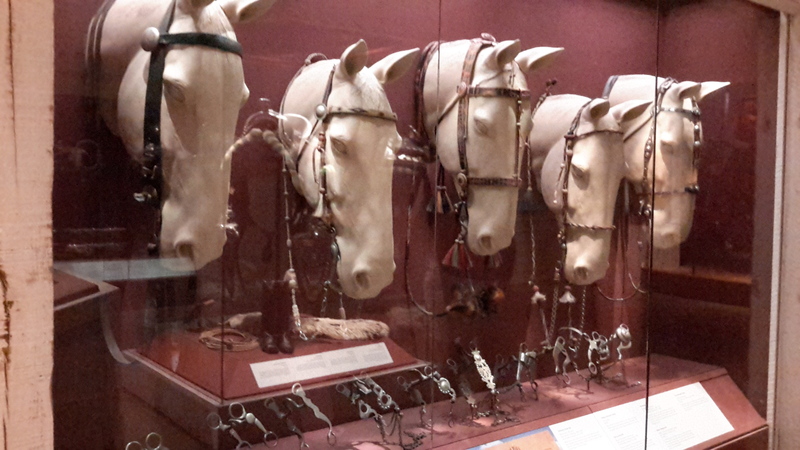 All full of original pieces of furniture, tack, wagons and full sized replica horses saddled and ready to go. I was expecting John Wayne to come out of the Saloon at any moment, it was such a fun way to experience a frontier town up close and personal. 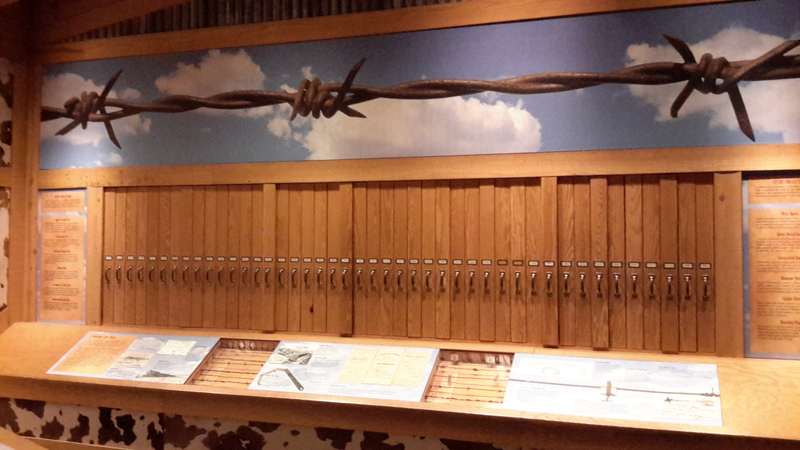 After leaving the Frontier town exhibit, we wandered for over an hour through a maze of of rooms highlighting native and western clothing, saddlery, guns, Chuck wagons, rodeos and even a room filled with over 1300 samples of barbed wire held in vertical drawers you could pull out and examine. Seriously, I never knew barbed wire came in so many styles! 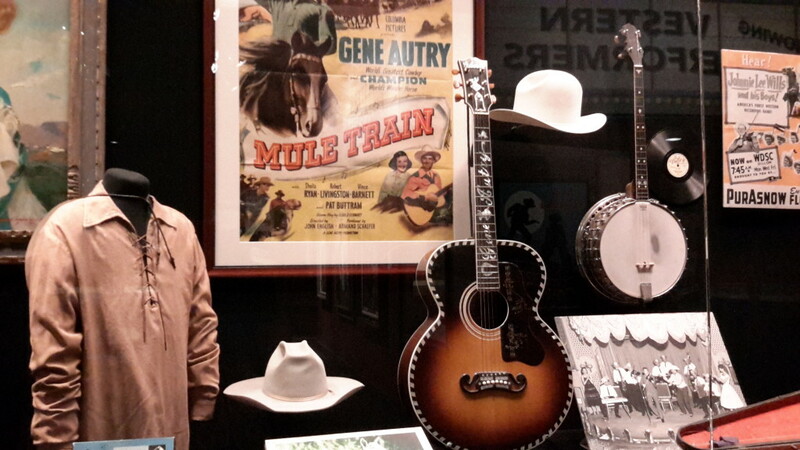 There were a couple of rooms devoted to the film industry of the old West as well. 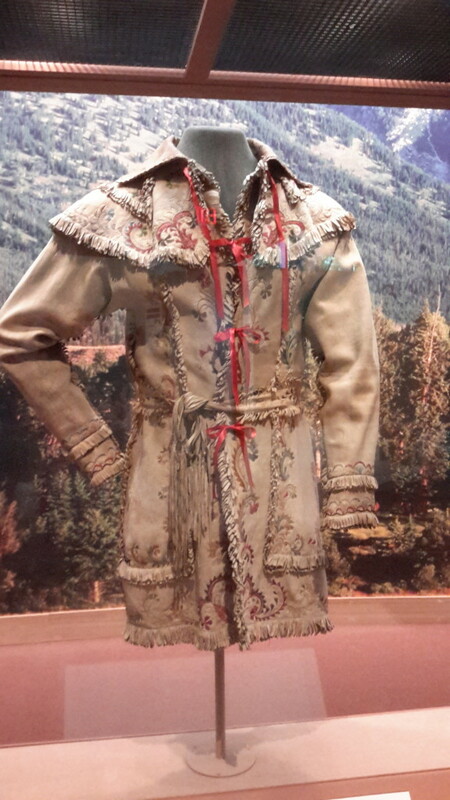 Featuring actually clothing and props from Western movie stars like John Wayne, Roy Rogers, John Ford and many others. There was also a display of Army Cavalry clothing, guns, horse tack and static displays of enlisted life in the 1800s. Like the Smithsonian Museum of American History in DC, it has artifacts frozen in time for generations in the future to see and experience. 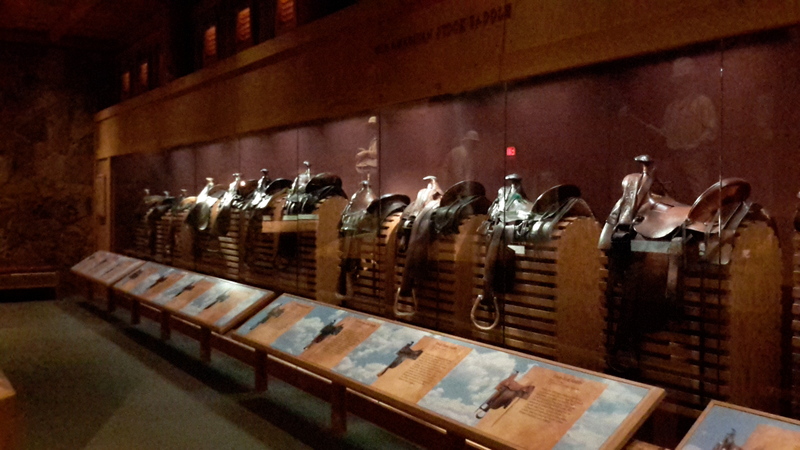 Not to be outdone there is a massive display of saddles and tack from not just North America, but early saddles from Spain, Europe and Mexico as well as the saddles made by Native Americans. 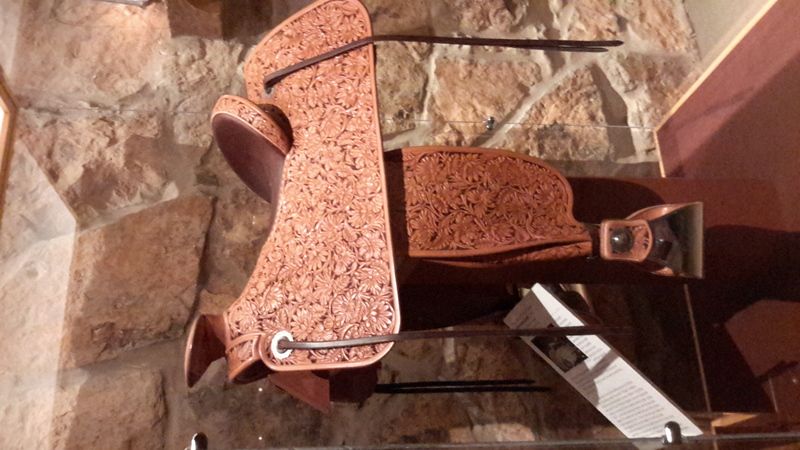 To see the form and function and how they evolved over a century is truly a history lesson I loved to learn. 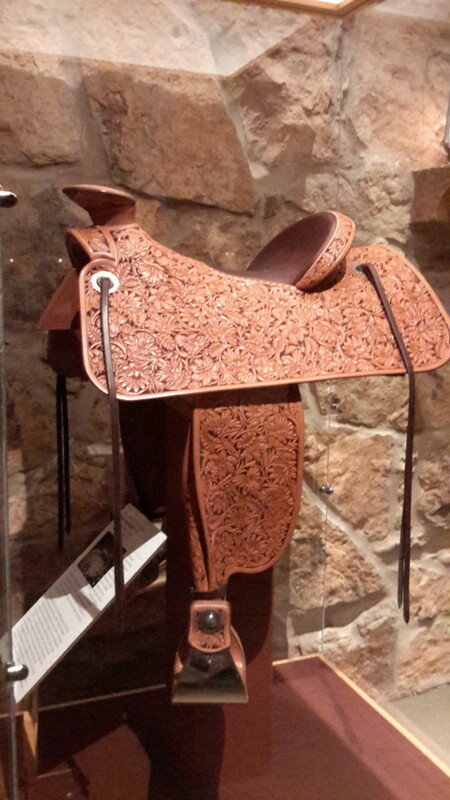 How they made these items with the limited tools and materials they had available is awe inspiring. 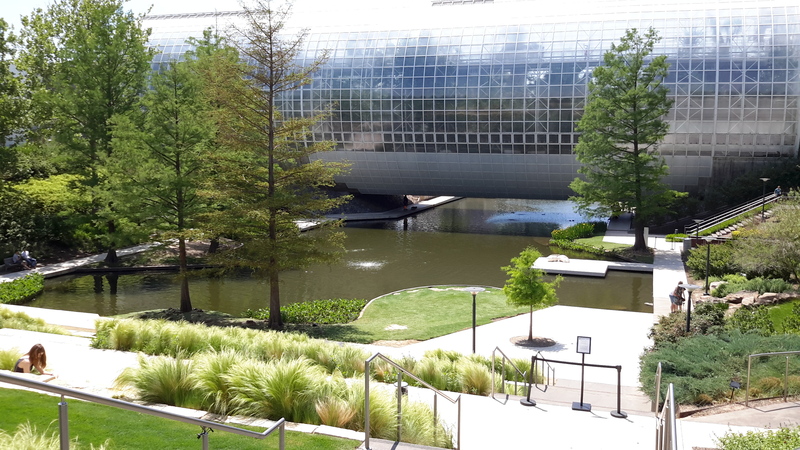 With my limited time in OKC, these were the 2 main attractions I wanted to see, but there is also the memorial to the OKC bombing of 1995 as well as the OKC Zoo and Botanical Garden which are great places of interest that I would have loved to see if I had more time. 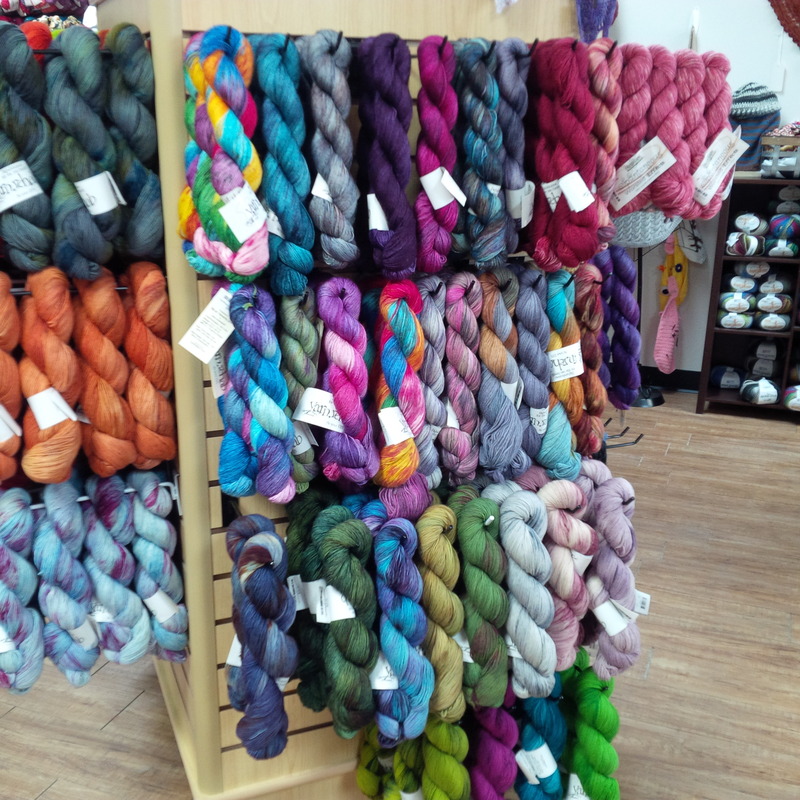 I managed to squeeze out 2 stops at local yarn shops, which of course, I just had to make sure was on the to do list. The first stop was Yarnatopia and Mustang Creek Alpaca Company. I happily contributed to the coffers of both, splurging on yarns not available back in my neck of the woods. I also managed to fit in Hobby Lobby and a quick trip to JoAnns for sewing patterns as they are significantly cheaper in the U.S., even with the exchange rate. 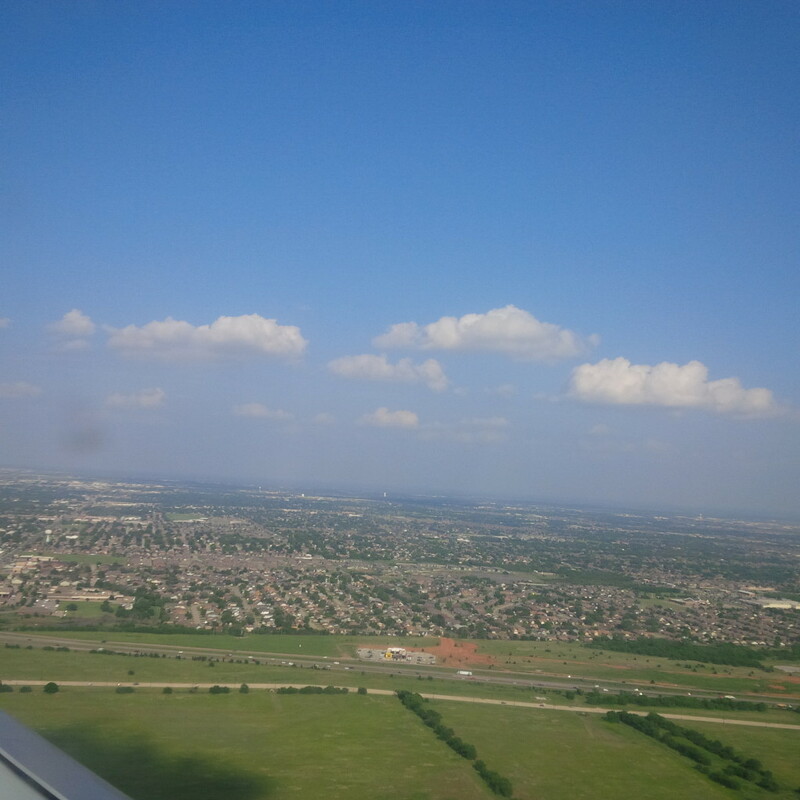 and say adios to midwest life and head back north to Canada and my home. It’s that time of year. 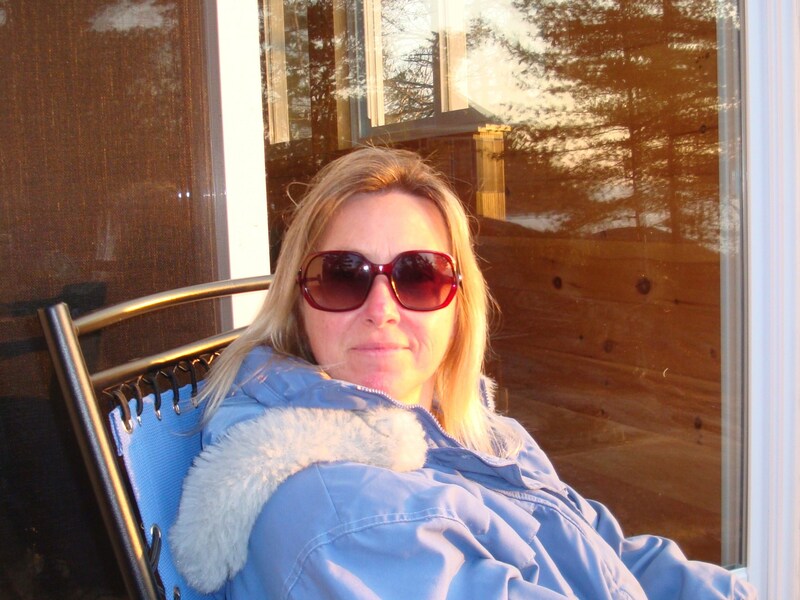 Time to be the typical Canadian that flees the frigid arctic air mass that has settled over Southern Ontario (and much of North America actually) and head south for some sun, sand, surf…and cervezas! This has to be the perfect timing for getting away, this past week has been frightfully cold and I am thankful we have a wood stove for alternate heat. As well as warming up the basement, it helps to shut the furnace up for a while. We are headed to sunny Mexico for a week, therefore there will be no posts until after I return, meanwhile, I have put together a snapshot video for you so you can at least be there with me vicariously. Please turn your speakers on, you will love the accompanying music! Looking for a Christmas Gift? for your Sister, Mom, Grandma or Aunt Edna? OR, are you planning a winter getaway in the sun and need an Island Purse? I am selling them off at a 60% discount!! Oh…and I almost forgot, each purse comes with a matching makeup case inside (that is an $8 value – FREE), attached on a tether…so you won’t lose it…or the purse if you attach the tether to your belt loops. 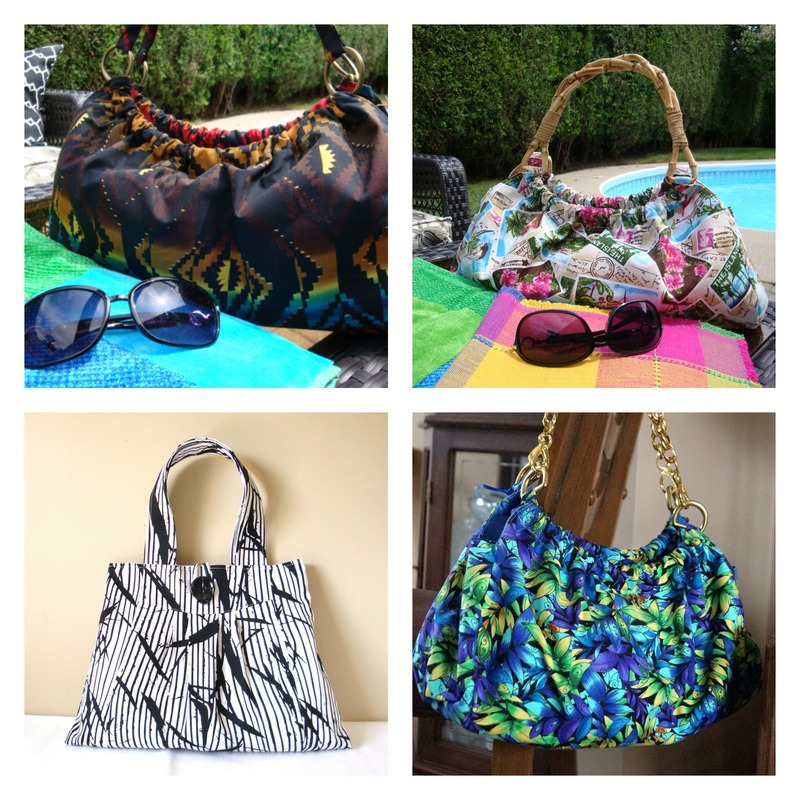 Each Purse is only $20.00 CDN. First come ~ First Served. Email me at gitana1962@live.com if anyone is interested. 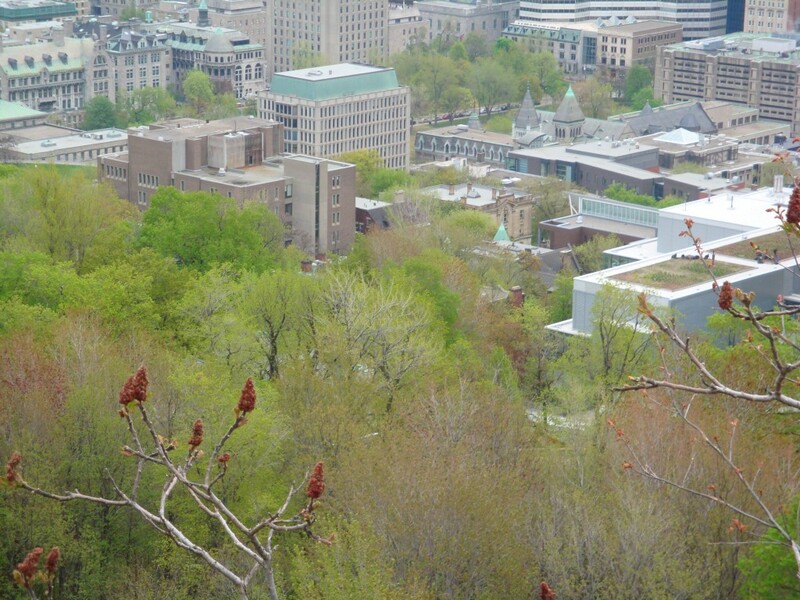 It has been several years since we visited one of our favourite cities in Canada…Montreal. 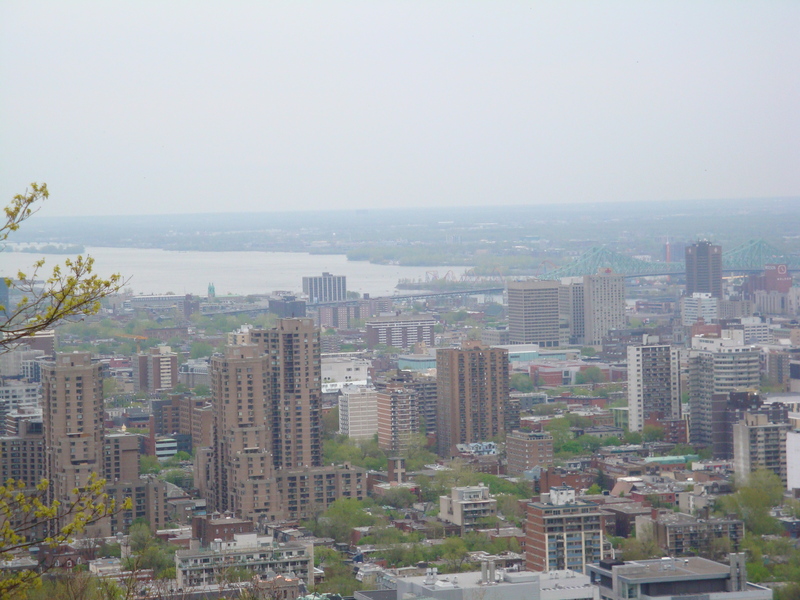 Montreal is the largest city in Quebec and the second largest in Canada (after Toronto), surprisingly large for being located in the middle of a river. 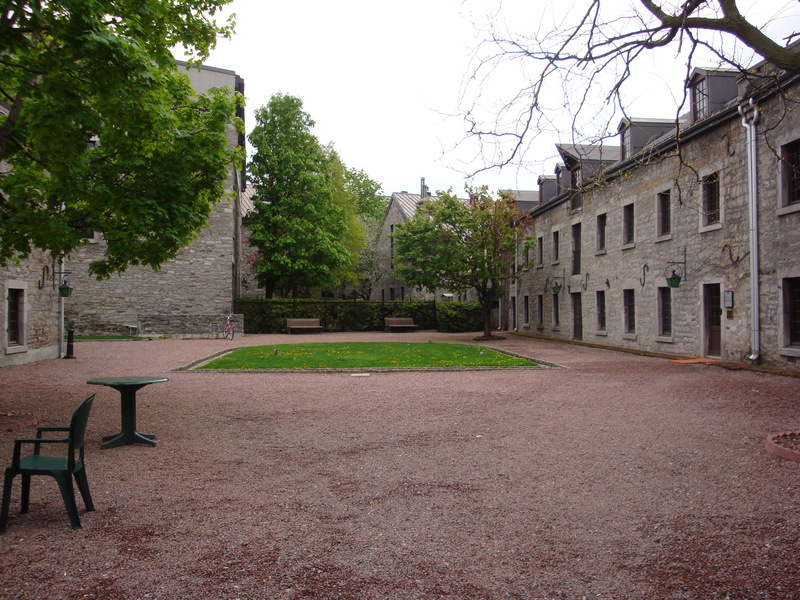 Montreal is an island city surrounded by the fast flowing waters of the St. Lawrence River. 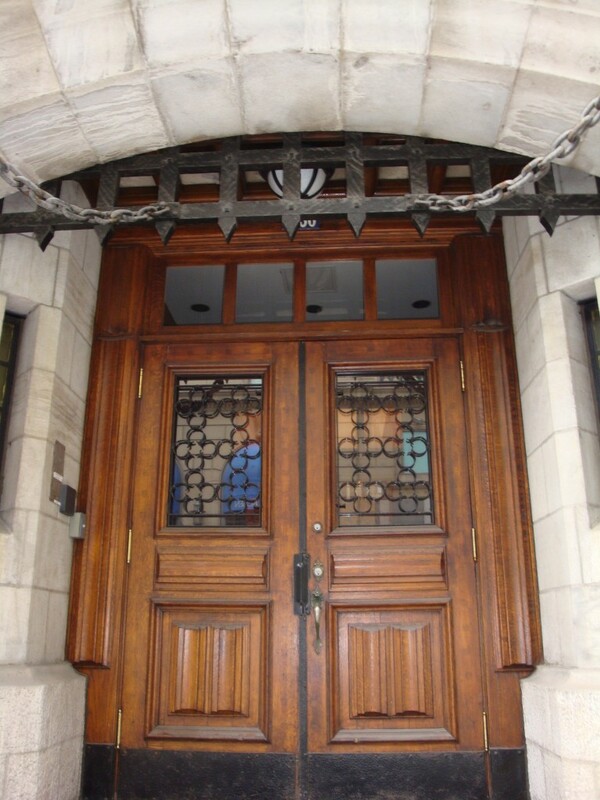 We usually head to Montreal every few years to celebrate our wedding anniversary. 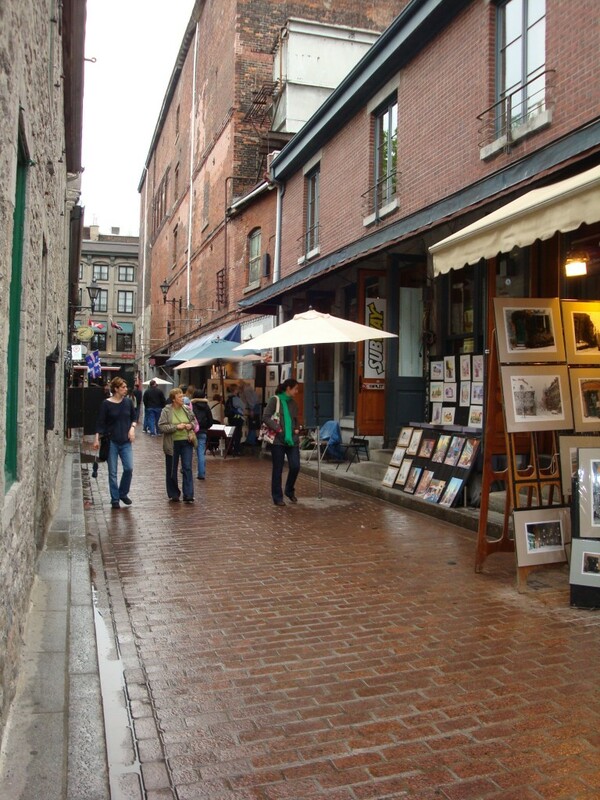 We were not married there, nor did we honeymoon there, but the city holds such history, culture and character that we just love to spend the weekend walking through the narrow cobblestone streets of Old Montreal exploring the many gift shops, boutiques, art galleries and museums. 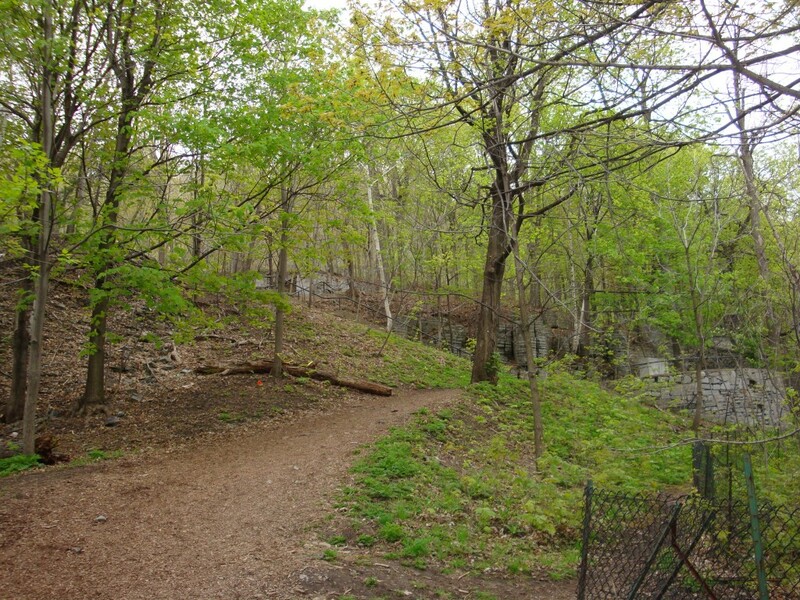 Even though Montreal is a bustling, busy city, smack in the middle of the island you will find Mont Royal, the namesake of the city. A natural hill (mountain) that is a nature-lovers paradise set amongst a concrete jungle. A place where you can spend an hour or two walking its trails and climbing to view the spectacular skyline of the city below. After you climb down from the mountain, head over to one of the many brasseries (breweries) featuring local micro-brewed beers or enjoy one of the many restaurants serving an excellent variety of cuisines to suit just about everyone’s tastes.